Twenty-five years ago today Tim Berners-Lee submitted a paper to his employer (CERN). The paper described a network (web) of computers that each had access to files–shared among each other. Little did he know that his idea would birth some of the greatest achievements (and bank accounts) the world had ever seen. Although he pitched the idea to CERN, no-one was really interested. They thought it wasn’t a necessary use of time for a physicist–except his supervisor. Mr. Berners-Lee’s supervisor wanted Tim to spend more time on the project. In 1991, CERN released what is now known as the World Wide Web to the public. Many people believe the World Wide Web and the Internet are one in the same, but there is a very distinct separation. The Internet was developed by the United States government as a method of communication, and not necessarily a way to allow access to individual pages that would store documents. The first browser was created by Mr. Berners-Lee, and was called WorldWideWeb. The Internet allowed a computer to be able to talk to another computer, similar to a phone. But, it lacked the open-nature that Tim Berners-Lee envisioned. His plan was to supply transparency. Servers hosting websites would become commonplace. 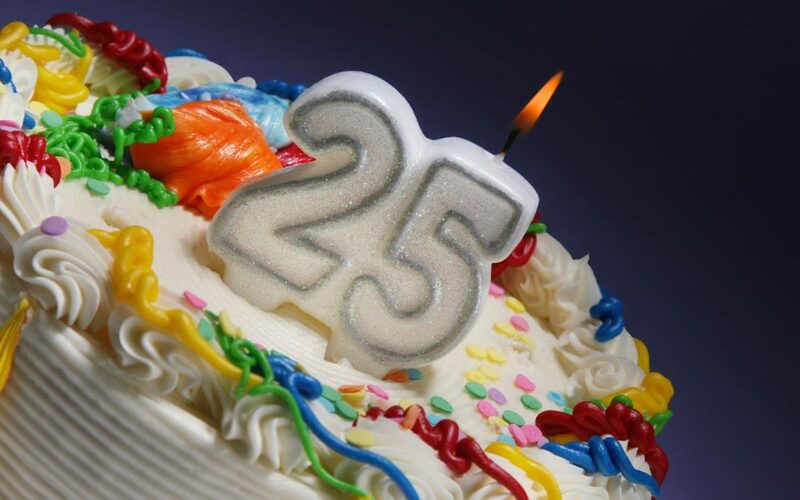 The last twenty five years have been a whirlwind of growth, but it wasn’t all started by Google (click here for Google’s contribution to the 25th “birthday” celebration). The first search engine was created in 1994 by a company called Netscape. They were able to create an easy way to “find” information in a massive mess of documentation. With no other search engines to follow, they were able to create a lot of standards that we use now. The first webpage was created by Tim Berners-Lee, and is still online… You can see it here.